Inspired by Eric Carle, the Comets & Satellites first painted patterns. 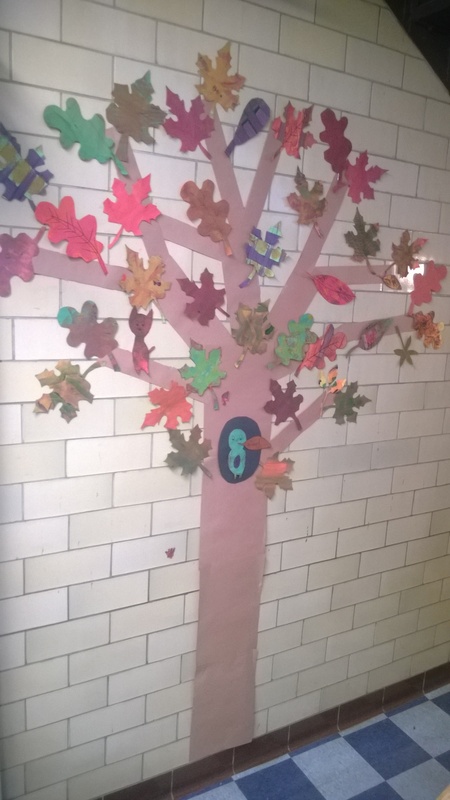 Then they cut out a variety of leaf shapes from their painted patterns to hang on the tree. Fortunately third graders were learning about different leaves during the school day, so they did a great job creating a variety of realistic shaped leaves. They also sneaked in a cat, owl, mouse, and bumble bee.